Workspace Technology provides premium colocation hosting rack space that delivers optimum energy efficiency, resilience, security, and flexibility, and is designed specifically to host your server equipment. Located in Sutton Coldfield, north-east of Birmingham, Workspace Technology’s purpose-built ‘DC One' colocation data centre is within easy access of both the M42 (Junction 9) and the A38, only four miles from the M6 Junction 6 and six miles from the M5/M6 Junction 1/7. 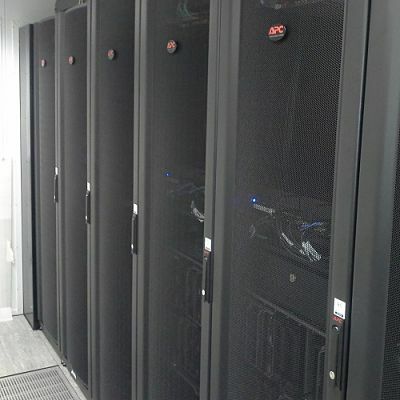 Workspace Technology’s colocation data center is ideally positioned to support the growing demand for cloud-based computing services, primary data centre, backup and disaster recovery applications for organisations and Systems Integrators within the Birmingham, West Midlands and East Midlands region. High Quality Colocation Data Centre Space – Workspace Technology’s ‘DC One’ facility is an excellent high-quality and contemporary data centre facility. Conveniently located in Sutton Coldfield, it allows regional services to be deployed for both end-users and Systems Integrators. Focus on Core Services – At Workspace Technology we understand that servers are critical to the success of your business. Whilst our data centres securely host your critical systems, you’re free to concentrate on your core business functions. Established and Financially Robust Partner – Workspace Technology is an industry-respected, established and financially secure organisation. We are committed to investing into our colocation data centre to establish one of the UK’s leading regional data centre facilities. Award Winning Data Centre Expertise – Workspace Technology’s core expertise is designing, building and maintaining data centre infrastructure for private and public-sector clients across the UK. With expert data centre engineers available, you can be assured that your mission-critical infrastructure is in trusted hands. Scalable Proposition – Workspace Technology offers a refreshing and agile approach to end-users and Systems Integrators. With an initial commitment starting from as little as 1 ‘U’ of rack space, clients can establish small-scale computing deployments with modest start-up fees. As services expand, Workspace Technology’s Rack Hosting team can offer additional rack space or facilitate migration to dedicated equipment racks. Contact us to discuss data centre collocation hosting requirements, download our brochure or visit our dedicated rack hosting website.